Mount Baldy is an awesome ski destination with plenty of runs for all skill levels as well as the steepest vertical of all the ski resorts in southern California. Mount Baldy (also known as Mount San Antonio) is a ski area in the San Gabriel Mountains. When it opens- which is dependent upon the weather Gods- this place is a really wonderful destination for skiers and snowboarders who want to avoid the crowds and who don't mind the lack of state of the art ski lifts. The longest run at Baldy is two miles. The terrain is a mixture of an equal amount of greens, blues, blacks and double blacks. Mount Baldy has the steepest vertical of all the ski resorts in Southern California. Rentals and lessons are available at the mountain. Don't miss out on having a meal at Top Notch- the restaurant at 7,500 feet. Tubing is also available at the ski area. The crowds are low and the hills are steep. 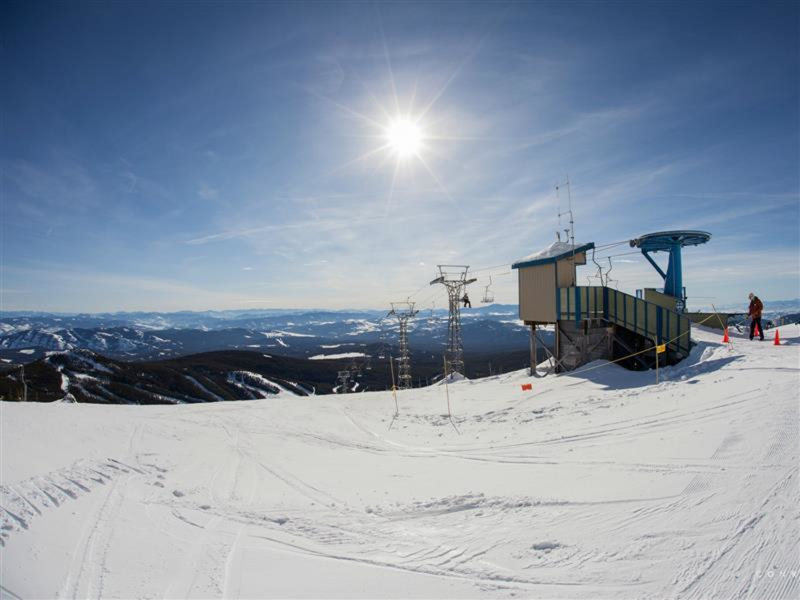 Expert skiers and boarders are going to love the open, challenging terrain while more casual enthusiasts will enjoy the lack of crowds. In good snow years, this is one of California's best ski areas - but that all depends on the snow gods! Mount Baldy is located in the Angeles National Forest bordering Los Angeles and San Bernardino Counties directly north of the 10 & 210 freeways above Claremont, Upland, Rancho Cucamonga and Pomona. Less than 25 miles from Ontario International Airport. Here is a list of rates from Mount Baldy website.